Recent trends in the way people shop, show that click and buy is the future of sales or commerce According to Business Insider, an American based online financial and technology news portal, walking or driving to a regular shopping mall is no longer the preferred shopping method. The Business Insider report reveals a steep drop in offline sales, growing at a negative rate since 2010. At the same time sales online have accelerated. The decline in offline sales is largely attributed to the fact that shoppers now have convenient alternatives like, ebay, amazon, alibaba, etc. The Business Insider data reveals that an average of 69% of American consumers purchased consumer electronics online in 2013, 67% purchased books, while 63% purchased clothing and apparel. The move online by American retailers is already having a negative impact on the big traditional retailers in America. Many are closing retail outlets as they witness significant decline of in-store traffic. For example, Barnes and Noble, the largest book seller in the US has plans to close a minimum of 226 of its bookstores between 2011 and 2021. Staples, another major retailer in the US will close 225 retail outlets by 2015. Gap, a major fashion retailer closed 189 retail shops between 2012 and 2013. Abercombie and Fitch, also a fashion retailer, is closing 180 retail outlets by 2015. The growth of e-commerce is not restricted to America. Outside America, China is another country seeing a significant boom in online trade. Online retail sales, according to China’s Ministry of Commerce rose 41.2% in 2013 to $296.6 billion higher than the estimated $262.5 billion worth of e-commerce sales made by American companies in the same year, an indication that the Chinese e-commerce market has overtaken that of America. KPMG, the global consulting and audit firm, forecasts that the e-commerce market in China will reach $540 billion by 2015, almost double its current level. The growth in China is driven by the increasing number of Chinese people going online to shop. 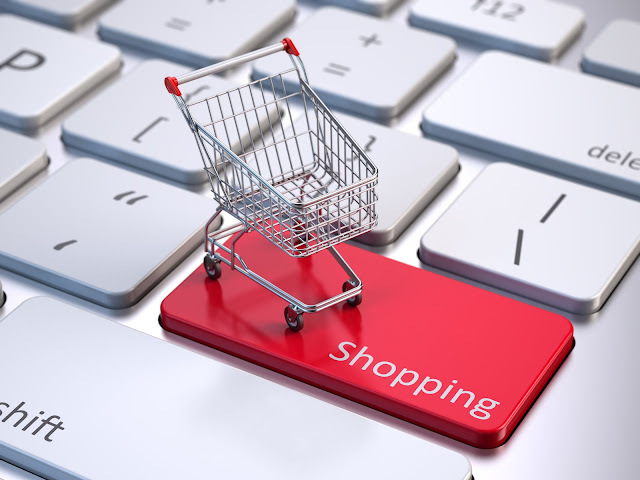 According to an article in Forbes Magazine, the number of online shopping customers in China rose from 242 million in 2012 to 302 million in 2013 with the magazine forecasting that the number of Chinese people shopping online will increase to about 700 million in the long run, which will see online shopping rising to about $687 billion assuming expenditure per head remains the same as in 2013. Africans are also catching up fast on the e-Commerce trend as internet penetration and smart phone ownership increases on the continent. A report “Lions Go Digital” prepared by the Mckinsey Global Institute (MGI), puts internet penetration on the continent at 16% with 167 million internet users in 2013 with an average of 67 million smart phones and an estimated $18 billion in internet contribution to the African economy. However, the report also shows the huge potential in the internet economy in Africa driven mainly by e-commerce. The report estimates that internet penetration will reach 50% of Africans by 2025, with an estimated 600 million internet users, using an estimated 360 million smart phones and generating e-Commerce sales worth $75 billion annually. The clear big picture that is fast emerging is that there is no promising future for big shopping malls but a huge future for click and buy or e-commerce. Two of the biggest growth markets in Africa for e-commerce are Nigeria and South Africa. A taste of how the increasing appetite for online shopping by Africans is shaping out was witnessed in the recent Nigerian version of “Black Friday”, when two of Nigeria’s e-commerce giants, Jumia and Konga offered their version of “Black Friday” discounts online. Jumia, for example, recorded over 1.5 million visits on Black Friday, which was twice its average of 700,000 weekly visitors on its site and up 10 times over similar Black Friday sales recorded in 2013. Interestingly, over 50% of visitors who accessed the site did so through an Andriod or iOS mobile device. The top three selling items were low priced smart phones, a clear indication of the increasing reliance of many Africans on budget smart phones to access the internet and interact on social media, with online shopping increasingly becoming one of the reasons to buy a smart phone in Africa. Konga, the rival online platform also had a similar sales boom on “Black Friday.” A statement from the company states that Konga recorded about N600 million ($3.5m) in sales on Black Friday, a record breaking 1440% year on year increase in online revenue. During the Black Friday sale period, Konga said, it recorded 670 per cent increase in new orders from shoppers across every state in Nigeria reaching a peak of 1,659 orders placed within one hour and processing over 100,000 packages during the sales. The three most sold products on Black Friday by Konga were the Spark Android Tablet, the Infix Zero phone and Polystar 32” LED TV. Emerging is a gradual change in consumer behavior in Africa’s largest economy fueled by increased internet and smart phone penetration. The MGI report notes that an average of 25% of urban Africans go online daily and this proportion is expected to rise over time as internet and smart phone penetration increases on the continent. The change in consumer behavior is helped by a pick-up in e-payment systems across the continent. If the current trend in internet and smart phone penetration continues, MGI estimates that the result could be a leap forward in Africa’s economic growth and development with the internet contributing some $300 billion to Africa’s GDP by 2025. E-commerce has been shown to increase shopping appetite, reduce costs and expand retail sales to previously unreachable markets. This will all have a positive impact on the economy and open new opportunities for businesses and individuals.